Towards Granary Square in the evening to see In The Heights at its Kings Cross venue, which is the traverse staging along a couple of the old platforms at the railway station. 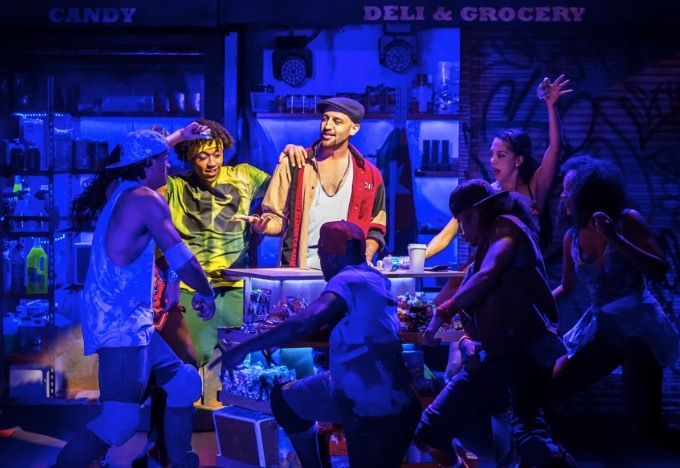 It is all high energy dance, with a smokin' Latino backbeat and covers stories of the locals around 180th Street in Manhattan. Washington Heights is largely Dominican Republic and Puerto-Rican and we see how those that came for the American Dream are making out in 2016 New York. 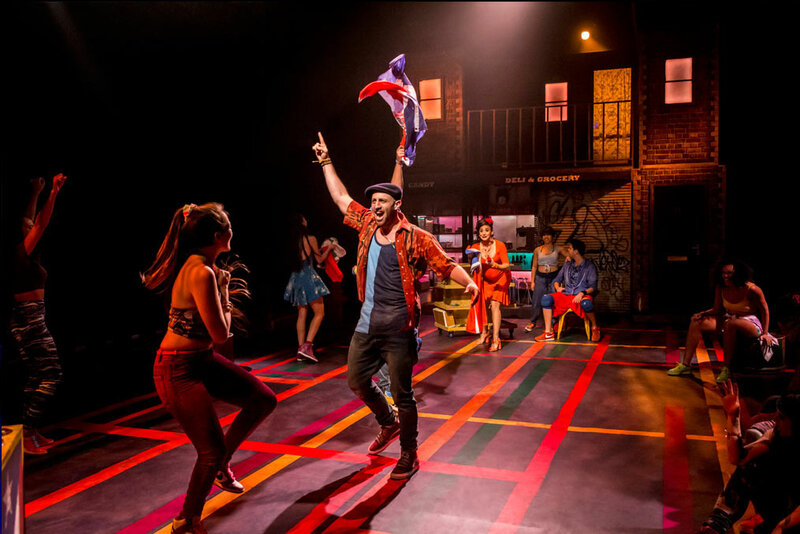 Usnavi is a bodega owner who looks after the aging Cuban lady next door. He pines for the gorgeous girl with downtown tastes working in the neighboring beauty salon and dreams of winning the lottery and escaping to the shores of his native Dominican Republic. Meanwhile, Nina, a childhood friend of Usnavi’s, has returned to the neighborhood from her first year at Stanford with bad news for her taxi-firm running parents. The storylines are simple enough and give room for plenty of dance and original songs, far removed from the juke box musicals of the Wast End. It's my second time seeing it, this time with an almost entirely different cast and both times strongly delivered.